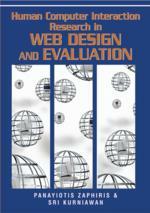 Web design and evaluation are currently framed by legal restrictions and social demands for full accessibility. The main reason is that currently most web sites are not accessible for people with physical, sensory or cognitive restrictions due to diverse causes, such as disability, use of non-standard equipment or special work conditions. Accessibility awareness has advanced considerably in recent years, but designers are still having difficulties in updating or creating new accessible pages. Even though useful tools and sound evaluation methodologies are being designed, they are of no use if they are not integrated into the standard web design lifecycle, interacting naturally with common design and authoring tools. This chapter introduces the basic concepts related to web accessibility and proposes a method for including accessibility in standard web engineering methodologies. The key phases, accessibility, evaluation and maintenance, are described in detail. Finally, a model is proposed for implementing accessibility policy in organizations.